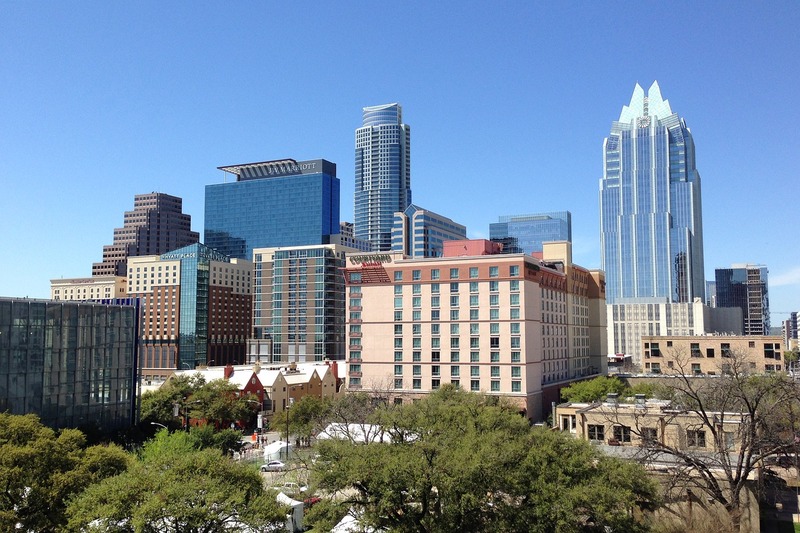 The best cheap business class flights to Austin we found for a client this month cost £1,549 for a return ticket. Find the best deal on flights today by completing the form on the left of this page. We’ll get back to you faster than you can say South by South West Music Festival! Famous for live music, the SXSW festival, and scores of amazing BBQ shacks, Austin, Texas has slowly but surely found itself on the itineraries of many travellers. If you are looking to experience the capital of Texas in style, this guide will get you there in comfort, and will explore a few of the things which will make your visit here memorable. 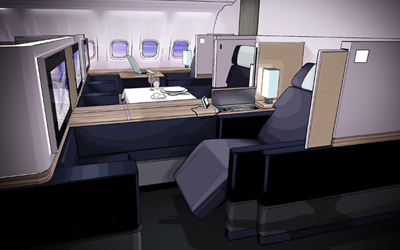 Which airlines have business class flights to Austin from London? British Airways has flown the London-Austin route since March 2014, and despite early worries about long-term flight volumes, the plane flying it has since been upgraded from a Boeing 787 to a Boeing 787-9, opening up capacity for more passengers. Business class on this flight includes the much-loved Club Kitchen, which allows access to snacks such as fresh fruit, nuts, kettle chips, and other excellent nibbles, in addition to an array of alcoholic and non-alcoholic beverages. American Airlines, Iberia and Finnair also codeshare on this flight. What facilities are available at Austin–Bergstrom International Airport? If you are looking to freshen up at a lounge after your business class flights to Austin Bergstrom land there are two lounges available – an American Airlines Admirals Club and a United Club. The Admirals Club is accessible to business class customers travelling with American Airlines or partner airlines. Everyone else will need to pay $59 to access this lounge. Within, standard amenities can be found, but if you are looking to get your visit to Texas off to the right start, order a Shiner Bock at the bar before heading to the taxi stand. Access to the United Club also costs $59 at the door, and it also has standard amenities, although reviewers have noted that the food choices here have been getting considerably better in recent years. As for the rest of the airport, there is a live music stage that will give you a proper introduction to the cultural attractions for which this Texan capital is famous. To get from the airport to downtown, there are a number of shuttles and taxis that will get the job done starting from $25. Rideshare apps like Fasten and Ride Austin also offer convenient and affordable transportation to downtown Austin. Once in town, the core is compact enough for you to see many sights on foot. If you are looking to get around faster, though, look for an Austin B-cycle station around town, as this bike-sharing service will allow you to get from attraction to attraction in an efficient manner. Car rental is also a great option if you plan to be travelling outside of the downtown zone. If you’ve decided to book a business class flight but are looking to save on a hotel without sacrificing value, Hampton Inn & Suites is a great choice in the city centre. With an excellent view of the Capitol, a rooftop pool, and a free breakfast that includes Texas-shaped waffles, money spent here will go a long way. Those that seek luxury in Austin will want to stay at the Archer Hotel. Its north side location puts it within easy reach of high-end shops, its bathrooms are outfitted with rain showers and stocked with Malin + Goetz toiletries, and their turn down service will make you feel like royalty. During the day, check out the Texas State Capitol, which is a stunning building which closely resembles its federal cousin in Washington DC. Afterward, make your way over to the LBJ Presidential Library. Taking over the American presidency after the tragic assassination of John Fitzgerald Kennedy, he presided over one of the most tumultuous periods in American history, as the Civil Rights Movement and the Vietnam War unfolded through his tenure as Commander-in-Chief. After dark, make your way to Sixth Street, which is where the bulk of Austin’s live music scene plays out every night. It is here where you will find the Moody Theater, which is where the famous PBS show Austin City Limits is filmed. Additionally, The Cactus Cafe, Stubb’s BBQ, and Antone’s are also well renowned venues for live music, so try these establishments if you are not able to find your way into Moody’s. To get the best cheap Business Class flights to Austin, simply complete the form on this page or call 0044 207 255 1234 to speak with one of SkyClub’s fast and friendly experts. We will find you special, discounted fares that are not available online. So, by the time you take your business class flights to Austin, you’ll feel happy knowing that you’ve paid less than the people seated nearest to you! Have a great trip and – if you want to save money – please book with SkyClub.